Weigh the onion and mince finely. Place onion and EVOO (olive oil) in a 2-quart sauce pan. Sauté the onion until translucent. Remove pan from heat. Reduce heat to low and allow burner to cool. Add the crushed tomatoes and rinse the can with chicken broth. Add broth to the sauce. Blend in the remaining ingredients and place the pan back on the now cooler burner. Simmer (i.e. just steaming; not actively boiling) for 30 minutes. Allow to cool. 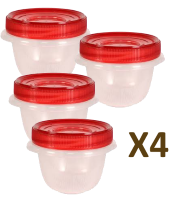 Divide into four (4) portions. Each portion is sufficient for a 14-inch pizza. Freeze portions for future use. Unfrozen portions will keep up to week, if refrigerated. 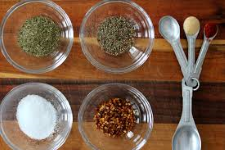 Making your own sauce opens up new flavor options and gives a sense of total control over your pizza. But, you don't get kicked out of the pizza club for using a commercial sauce. So, if you are pressed for time or just plain don't want to make sauce, feel free to use the commercial variety. Just let me make this point, most commercial sauces neglect anise in their recipes (and sustitute sugar). Anise adds that slightly sweet, licorice-like taste to pizza sauce. So, if you use commercial sauce think about adding a pinch of powdered anise before you spread it on the pie. Anchovy paste isn't essential but it does provide some additional saltiness. If you omit the anchovy paste you may wish to add more salt. That's your call. I'm not usually brand loyal, but I'll give a nod to a good product when I encounter one. 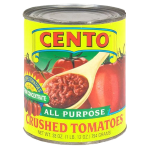 On that basis I have to admit that Cento brand tomatoes are worth the extra effort to find. They have less acid and more natural sweetness than domestic brands.